Delhi Water Minister Kapil Mishra was on Saturday sacked by Delhi Chief Minister Arvind Kejriwal minutes after he tweeted about “massive expose” in the water tanker scam. A file photo of Delhi Water Minister Kapil Mishra. The sacked minister will be holding a press conference at 11:30 am on Sunday wherein he is going to expose “big names” in the scam. “The ground beneath their feet will shake,” Mishra said. However, Deputy Chief Minister Manish Sisodia said the reason behind his sacking was that there were several complaints about water crisis in Delhi and water was not reaching to the people. “There were complaints about water crisis, water was not reaching the people. The bills, in spite of a subsidy, were high. Kapil was doing great work, but the problems were still there. Chief Minister Kejriwal decided to bring in Kailash Gahlot in Kapil's place,” the Deputy Chief Minister said. Water Tanker scam came into limelight when the Aam Aadmi Party (AAP) government in June 2015, formed a five-member fact-finding committee to probe the irregularities in hiring 385 stainless steel water tankers under the Sheila Dixit regime. The tankers were hired by the Delhi Jal Board in 2012. 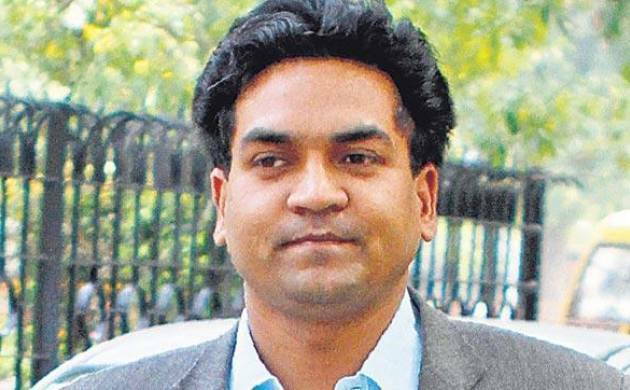 The committee formed by Kapil Mishra submitted a report to Arvind Kejriwal in August 2015. The report highlighted an alleged corruption of approx. Rs 400 crore in the allotment of tenders for hiring tankers. The report which was sent to the Prime Minister and Lieutenant Governor of Delhi in June 2016 by the Kapil Mishra-led committee recommended an FIR against former Delhi Chief Minister Sheila Dixit by the CBI or the ACB. In the report, Mishra alleged that corruption was done at the time of Dixit-led Congress government and that she should go behind bars. Mishra also mentioned in the report that BJP won’t be taking any action against her. Thereafter, Najeeb Jung, the then Delhi’s LG forwarded the report to the ACB to take note of it and do the investigation thereon. However, Dixit gave a statement the day after report was submitted to the ACB by Jung. Dixit said that the allegation levied by the committee against her was baseless and politically motivated. The ACB filed the first information report (FIR) in the Water Tanker scam on June 20 against Kejriwal and Dixit. Soon after the FIR, Kejriwal said that he was happy that the Prime Minister Narendra Modi was in direct confrontation with him.